There’s a rumor that the first-year Mazda Miata was the fastest production car in the world. Press people on this, and they’ll say something about how there were no Ferraris, that the Corvette made a smog-choked 145 horsepower. Then they’ll tout the Miata’s low weight as the reason for its reigning speed. None of it is true. The slowest 1990 Vette pulls to 60 mph in just more than 6 seconds, the Testarossa is in the 5s, and the Miata takes about 9 ticks. There is, though, a tiny Japanese roadster that not only ran with everything the Brits tried, but could also sometimes out-drag a contemporary Sting Ray. 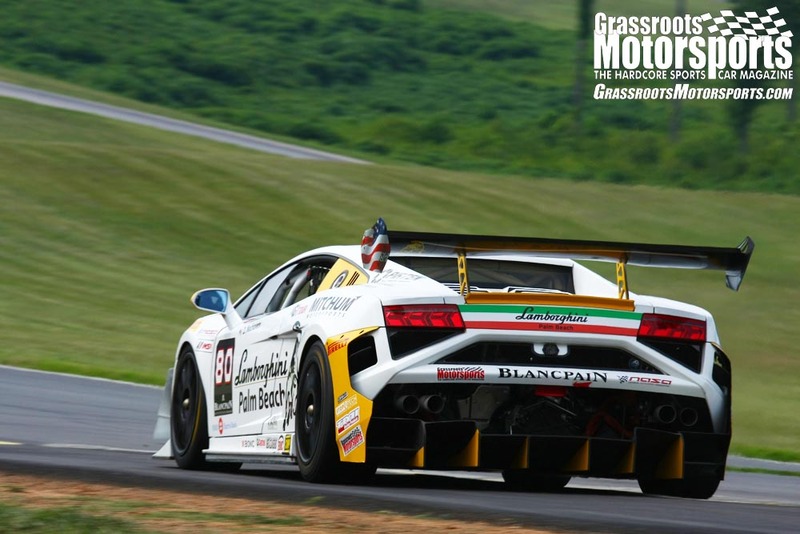 It’s relatively rare, it’s underappreciated, yet it has big racing pedigree. It truly won’t abuse your sanity, though it can abuse your wallet occasionally. Maybe it’ll look more familiar in its iconic Brock Racing Enterprises stripes: It’s the Datsun roadster—specifically, the Datsun 2000. Owners used to boast about occasionally beating those V8-powered Americans in red-light drags. With 150 horsepower—when equipped with the competition package—moving just one ton of steel around, that’s not an unreasonable claim: In 1967, the base Corvette took nearly 8 seconds to pull to 60 mph. The Datsun 2000 is fast, impeccably built, doesn’t leak oil, and established a reputation for Japanese reliability. 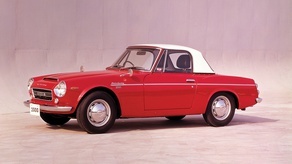 When this 2-liter version debuted, the Datsun roadster had already been around for some time in 1.5- and 1.6-liter versions. They’re often compared with the MGB, but the Datsun is more advanced. When the 2000 hit dealerships for 1967, it was properly high-tech. An aluminum-head, SOHC engine was far ahead of the all-iron pushrod mills in its Brit competitors. The Datsun also came with a five-speed transmission, while its contemporaries only received four forward cogs. The Datsun went relatively unloved, though, building only a cult following among those who could overcome their prejudices and appreciate a car from a former national enemy. A large portion of the ownership was simply cheap people who didn’t care much to repair their cars very well, so these Datsuns earned a poor reputation in the used-car market. That’s not the fault of the car itself, so don’t call it a POS—unless you’re referring to the Previous Owner’s Sins. Buy yourself a decent one, and drive it as much as you’d care to. These cars are capable at autocrossing, road racing or simply for street and car show duty. You won’t find as big a club as the British cars have, but you’ll still get respect everywhere you go. And unlike the MGB, Datsun’s roadster disappeared in its prime—there are no smog-choked, rubber-bumpered 2000s to clutter up history. You can find decent runners for as low as $5000, but the top of the market reaches into the $30Ks. Get one you can afford, fix any rust, and maintain it properly. It’ll deliver many years of trouble-free service and embarrass the occasional Corvette, too. Les Cannaday, the owner of Classic Datsun Motorsports, has handled many roadsters over the years, including the race car in comedian Adam Carolla’s collection. Les has been in business for some 20 years and was kind enough to share these tips with us. The most desirable—and thus priciest—of the 2000s is the first-year 1967 car thanks to its rarity, lack of smog equipment, and unadulterated looks. Later cars have taller windshields to comply with U.S. laws but are likewise better suited for drivers who are taller than 5-foot-9. As with any car from the era, rust is a potential issue. Look for it on the lower fenders and rockers. Check also in the trunk and the floors if the trunk seal or roof shows signs of leaks. Patch panels are available, and Classic Datsun Motorsports is developing fiberglass body panels. Those doors are temptingly low, but they’ll develop stress cracks if you use them to hop into the car Hazzard-style. Open it to get in, Bo. Watch where the hood is bonded together near the scoop. As it ages, it could begin to delaminate. Making the paint look good elsewhere means removing the lead filler from the seams and replacing it with modern body filler. The lead will show through the paint eventually if it’s left there. The standard SU-type carburetors are perfectly effective for street-driven cars, but Mikuni-Solex carburetors were available as part of a competition package that upped horsepower to 150. That’s a solid number for 2.0 liters even today, and the Mikunis can be made to be street-friendly. They look and sound great and will return good gas mileage if you have a light foot, but be warned that they run best at 4000 to 9000 rpm and will have flat spots in the powerband unless you spend a lot of time on a dyno. Advance for smog engines is set at zero degrees BTDC and has a different advance curve. With the standard carbs and a non-smog distributor, set timing to 16 degrees BTDC; with the Mikunis, set it to 20 degrees. Datsun’s SU carbs are much less finicky than the British SUs. They don’t need adjusting very often. The same goes for the ignition system. If you find a car that has sat neglected for a while—even years—there’s a good chance it’ll fire right back up with little coaxing, so long as the engine’s not seized. The engine is very robust, with a double-roller timing chain, beefy rods, huge valves and intake ports. When built for race use, it can make more than 200 horsepower. The most effective horsepower upgrades are a hot camshaft and better exhaust. Get a quality header: The original is prone to cracking. Be careful of the “death rattle” from the timing chain, however. The tensioner is the last thing in the engine to get oil, so it’ll give an audible rattle during dry starts if the chain is stretching. When the chain breaks, it’ll take many engine parts with it. If a rebuild is claimed—rattle or not—verify it, or be willing to spend the $2500 in components to do the job right. You won’t get much trouble from the rest of the driveline. The transmission is shared with the Z-cars and was used for many years after the roadster went out of production. Fifth gear can sometimes spin loose from the shaft, exhibiting as a false neutral. Once the transmission is out and apart, it’s an easy fix. Its original rear brake drums were aluminum, and they’re no longer that difficult to find. Expect to pay dearly when you do, though. The front brakes aren’t as difficult, however: They’re the same as the fronts on the twin-cam MGA. Aluminum oil pans are available from Nissan, but for the street stick with the standard steel pan. The aluminum unit hangs below the front crossmember, which makes it susceptible to impact damage. Looking to build a BRE clone? 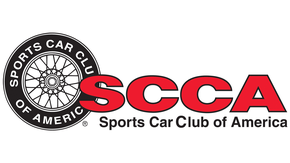 BRE now offers all the decals needed to recreate John Morton’s SCCA champ. You’ll be in good company on track: Adam Carolla took his Datsun 2000 roadster—painstakingly rebuilt by Classic Datsun Motorsports—to the Rolex Monterey Motorsports Reunion at Mazda Raceway Laguna Seca in 2011. Datsun.org has an exhaustive history of many of these roadsters that campaigned on road courses. I always liked the idea of stuffing an SR20VE into one of these... give it ITB's and a nicely flowing exhaust to get that old school sound and hang on! This is one of the first Japanese cars my 'merica-car loving brother really found something to appreciate in. Was fun seeing his eyes open to things he liked in unexpected places. Also, isn't there one that is famously fast in SCCA for autocross? Bob Sharp's name comes to mind? Has a rather large plexiglass flap at the end of the trunk? You guys know the one I'm talking about. 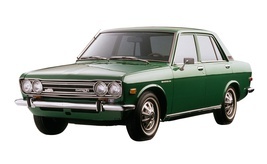 A '69 Datsun 2000 was the first car I really worked on. My dad and I agreed to buy one, and I got to take the engine apart to find some problems. I didn't do a great job at that, but learned a WHOLE lot. And some PO in the past butchered the wiring harness, which made driving it a real adventure. But this is the car that really got me started. It wasn't until college that I got an Alfa. 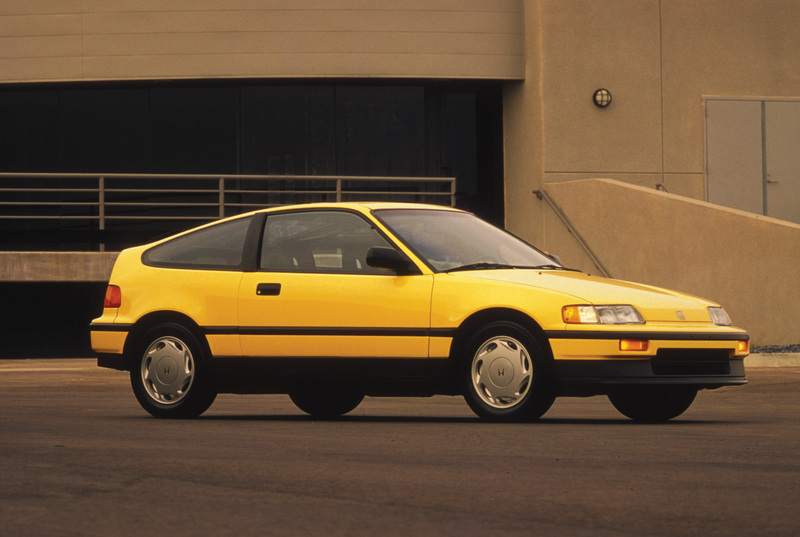 Which also had it's problems, leading me to get a Honda CRX HF for a DD, that lasted almost a decade. Cool car, some good and bad memories. When the Miata first came out at the Chicago Autoshow around 1989 I wanted one but the $20,000+ price tag hurt so being a Datsun guy I bought a $2500 1600. Now cheap Miatas are $2500+ and Datsun Roadsters are $5-15,000. I kept that ‘66 Datsun 1600 until 1995 and most days I wish I still had it but that’s life. There are precious few Fairladys that haven't been beaten and left in a corner. The local CL ads are depressing to behold. As a late teenager I was seduced into buying a 1600 with a fresh red paint job, only to find such details as leaves floating in the brake reservoir and a fuse panel that had been entirely bypassed. It was a pretty POS whose primary virtue was that some chicks dug little red convertibles. I push-started it more often than not. The 2000s OTOH were legendary to us pushrod kids. The one guy that I knew who had one would go hunting for Porsches because precious few of them could take the little 2000. 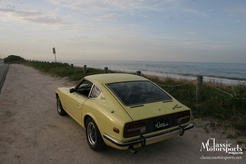 It helped the subsequent success of the 240z to show that Datsuns could be serious sports cars. Disagree about the styling. The fairladys look better to me than MGBs. Especially the low windshield models. The fit and finish is nothing to get excited about though. A friend in college had a 1964 Fairlady (1500) and a 1970 2000. Liked them so I ended up with a 1969 2000 (in 1972) which did autocross and then SCCA racing service. Currently have a 69 again that is 1/2 way through a body off. But rather than stock, I've been playing a bit with suspension and engine (going with fuel injection). 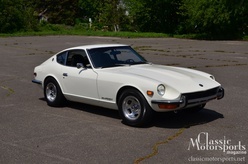 By the way, I was told long ago that Datsun's (Nissan) original intentions was to build both the roadster and the 240Z but the 240 Z began selling so well, the Roadster was dropped to meet production demands of the Z. That and at least at one time, the most popular body kit in Japan was one that made a Miata look like a Datsun Roadster.